A few months ago, it seemed as though Bryan Cranston’s failed CBS pilot might float away into the ether. Then, Amazon jumped into negotiations with Sony Pictures TV to give the project new life, promptly releasing a trailer and the entire episode online. It was probably around this point that the show went from “Bryan Cranston’s failed CBS pilot” to “CBS’s failed Bryan Cranston pilot,” because according to Deadline, Amazon has received enough positive feedback to order it to series. 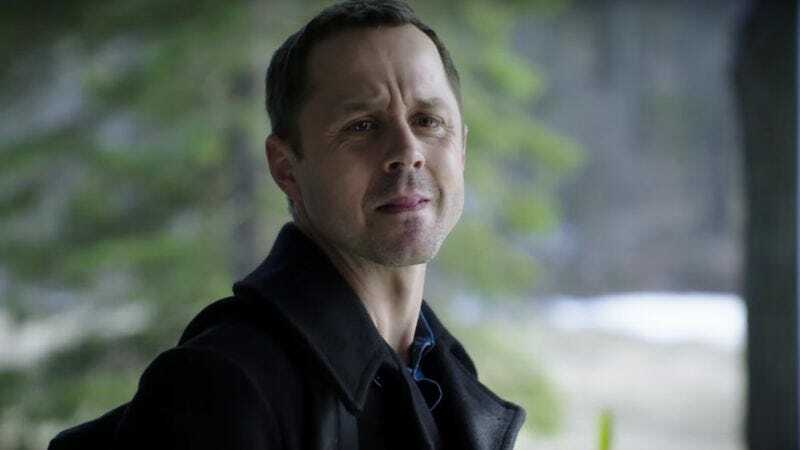 Sneaky Pete stars Giovanni Ribisi as a con man who takes on his former cellmate’s identity when he gets out of prison, adopting a new set of “grandparents” in the process. Margo Martindale fills the “grandmother” role here as Audrey, a woman “trying to keep the family bail bond business afloat when Pete shows up on their doorstep,” according to an early description of the show. Cranston guest stars in the pilot as a slick-looking, self-proclaimed “reasonable” man to whom Pete owes money, and the rest of the cast is rounded out by Marin Ireland, Libe Barer, Peter Gerety, and Shane McRae. Cranston’s co-writer, David Shore, is serving as showrunner, and now that a full season has been ordered, we’ll likely see much more of Ribisi looking uncomfortable and producing vague comments like “When a liar gets caught in a lie, they build a bigger lie.” Sounds like the perfect foundation on which to build a new post-prison life.